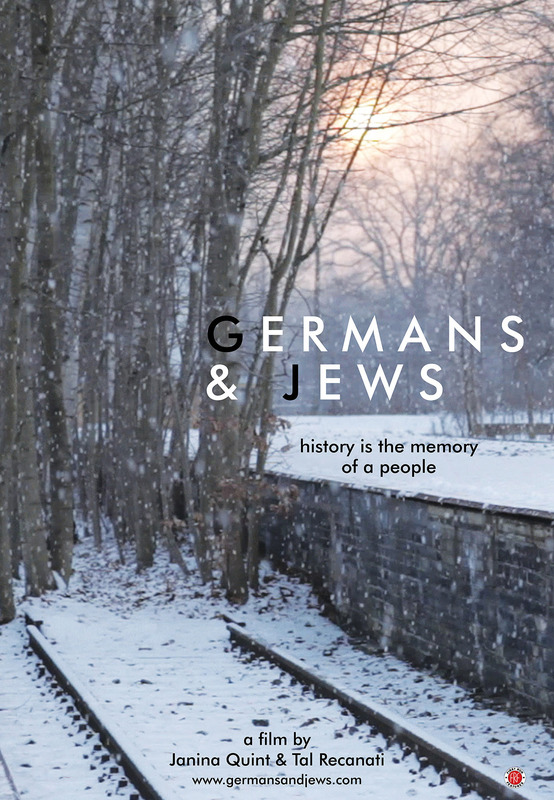 Through personal stories, the 2016 film Germans & Jews explores the country’s transformation from silence about the Holocaust to facing it head on. Unexpectedly, a nuanced story of reconciliation emerges. 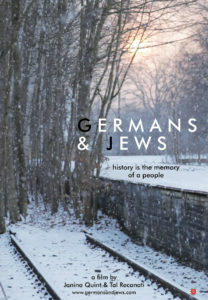 What began as a private conversation between the two filmmakers and friends, Tal Recanati (Jewish) and Janina Quint (non-Jewish German), grew into a cultural exchange among many. 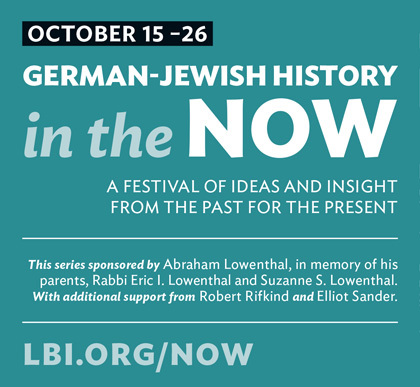 After a screening of the film, the President of the American Council on Germany, Steven Sokol, will moderate a post-film discussion with Sonja Keren Pilz, who was ordained as a Rabbi in Germany at the Abraham Geiger Kolleg in Potsdam and now teaches liturgy at Hebrew Union College, and Steve Zehden, an attorney at Noerr LLP’s New York office, who was born and raised in Berlin. Steven E. Sokol became President of the American Council on Germany on May 1, 2015. He served as President and CEO of the World Affairs Council of Pittsburgh from July 2010 until April 2015. Prior to that, he was the Vice President and Director of Programs at the American Council on Germany for nearly eight years. Sokol has more than 20 years of experience working with nonprofit organizations in Germany and the United States. He served as the Deputy Director of the Aspen Institute Berlin, was the Head of the Project Management Department at the Bonn International Center for Conversion GmbH (BICC), and was a Program Officer in the Berlin office of the German Marshall Fund of the United States. He holds a Doctorate in Law and Policy from Northeastern University as well as an M.A. in International Relations and International Economics from the Johns Hopkins University’s Paul Nitze School of Advanced International Studies (SAIS) and a B.A. from Wesleyan University. He has also studied at the Ruprecht-Karls-Universität in Heidelberg and as a Fulbright Scholar at the Freie Universität in Berlin. Sonja Keren Pilz has been a full-time Adjunct Faculty Member for Liturgy, Worship, and Ritual at the Hebrew Union College – Jewish Institute for Religion (HUC-JIR) in New York since 2016. She earned a doctorate from the department of Rabbinic Literature at Potsdam University, Germany; she holds Rabbinic Ordination from Abraham Geiger College, Germany. Prior to coming to HUC-JIR, Sonja taught as a Junior Professor of Jewish Ritual and Practice at the School of Jewish Theology at Potsdam University, and in many congregational settings, and served as a rabbinic intern and cantorial soloist in congregations in Germany, Switzerland, Israel, and the US. Steve Zehden, an attorney at Noerr LLP’s New York office, was born and raised in Berlin and has been in the U.S. for over 5 years.